File: May Day rally in Los Angeles on Sunday, May 1, 2016. It's May Day, and that means it's also time for the annual May Day immigration march in downtown Los Angeles. This year's theme: "Together We Fight Back." It kicks off Tuesday at noon, with people gathering starting at 11 a.m. But another pre-march rally gets started early — 5 a.m., running until 7 a.m. 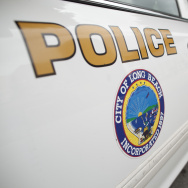 Rallies will be held at both ends of the march — one in front of the Immigration Family Court to kick off the march, with a short rally in front of the Edward Roybal Federal Building at the end. It's set to end at 255 E. Temple Street in front of the "Molecule Man" sculpture at 2:30 p.m. The event features numerous organizers and dignitaries, including California state Sen. Kevin de Leon, who's also running for the U.S. Senate. 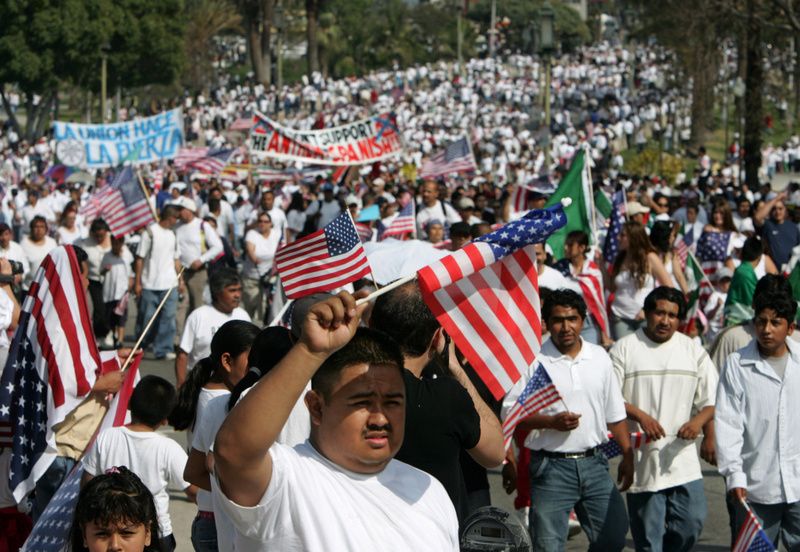 Thousands of demonstrators take part in an immigration protest near MacArthur Park in Los Angeles, Monday, May 1, 2006. Marching in waves of red, white and blue, chanting "USA, USA" and singing the national anthem in English, illegal immigrants and supporters rallied by the thousands as part of a nationwide work and shopping boycott designed to demonstrate economic power. 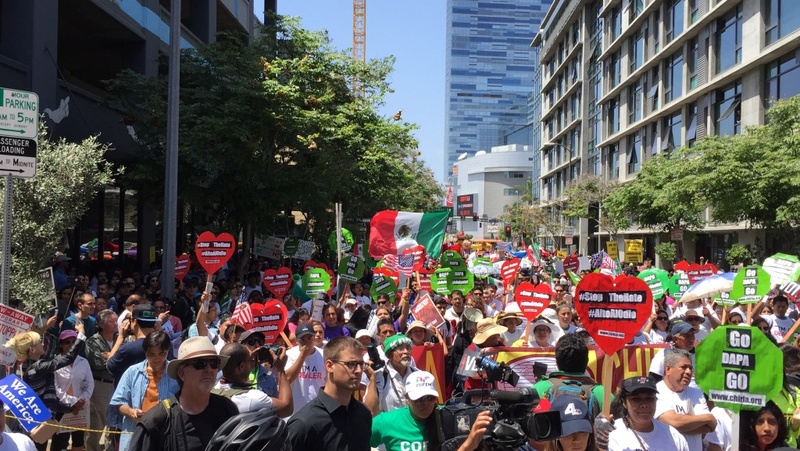 May Day marches for immigration in Los Angeles began in 2000, with the date chose to coincide with International Workers' Day, which is celebrated around the world. 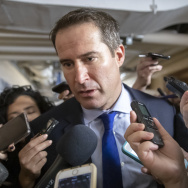 The number of marchers have bbed and flowed, with a couple thousand some years up to hundreds of thousands who rallied for immigration reform in 2006. At 2017's march, Trump supporters held their own counter-protest in downtown L.A.